Joeonna Bellorado-Samuels. Portrait By Deana Lawson. 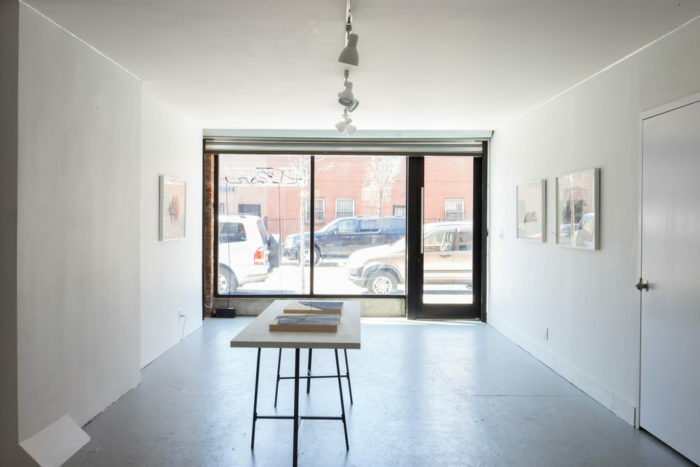 View of We Buy Gold gallery. Gladman, a prose writer, imagines words and sentences as architecture and delicately presents a poetic angst in her ink on paper works. 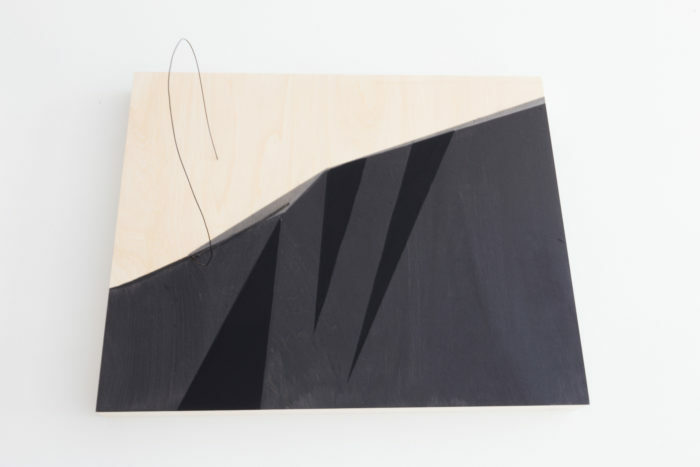 Dyson’s quiet and sleek abstract paintings and sculptures explore the black body and finding personal agency. While Mendez, a Latinx artist of Colombian and Mexican descent, and currently in this year’s Whitney Biennial, delves into transnational identity and history in his sculptures sourced from found materials. There is a sophisticated colorway linking all of these works, the dark, almost black pieces hang on white walls, complemented by grey flooring. “I like how one kind of leads into the other,” says Bellorado-Samuels. This is also a reflection of Bellorado-Samuels’ own style, including her signature thick black frames. Upcoming exhibitions pick up where “ONE” left off: “TWO” will include Passage, a video work by Mohau Modisakeng that is currently on view at the South African Pavilion at the Venice Biennale, and works by Dineo Seshee Bopape. “THREE: On Visibility and Camouflage,” will feature five artists from the Black Women Artists for Black Lives Matter collective, investigating black female subjectivity and visibility. The Yard, We Buy Gold’s outdoor space, features a politically themed installation by Carver Audain, as well as Alexandra Bell’s A Teenager With Promise, a poster honoring slain teen Michael Brown from her Counternarratives series, which manipulates and challenges the constant toxic media coverage of people of color.